The first thing you have to determine is if you have roof damage in the first place. 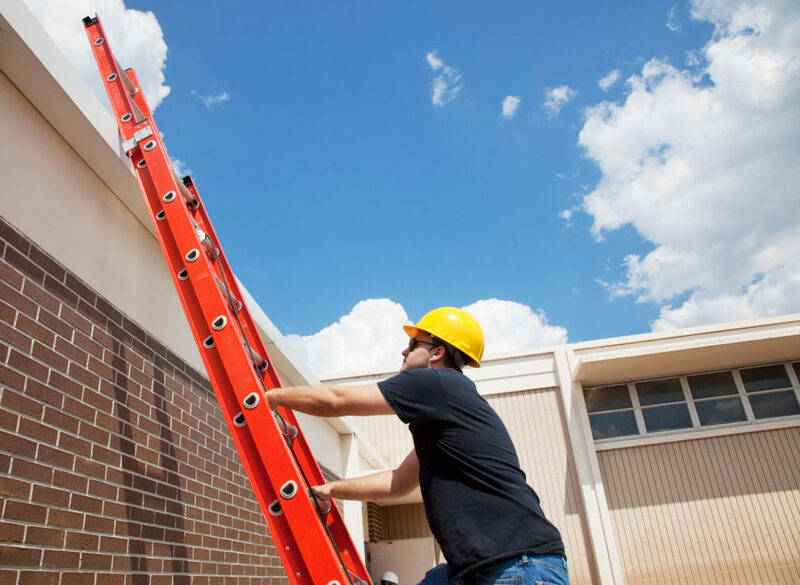 The following are signs you need to call a roofing specialist. Metal roof flashing is used to seal roof transitions. You’ll find flashing where your roof joins a dormer, at the base of chimneys, or anywhere there’s a hole used for a feature installment. Over time, these sections can slide out of place if the caulking cracks or nails get loosened. These areas are vulnerable for water to seep in. Once water makes its way in, it could puddle under the flashing and eventually get beneath the leak barrier. Over time, the water will start leaking through. Damaged flashings are one of the most common causes of roof leaks. After the water seeps through the leak barrier, it can gather and start to stain the walls or ceiling. If you notice water stains anywhere inside your building, chances are, you have a leak. When water sits and evaporates in an enclosed space, mold develops. The scary part is, it doesn’t take long. Mold only needs 24 – 48 hours to begin growing. Once it does, it compromises the structure around it. If left unnoticed or untreated for a few weeks, it will start permeating a foul odor. If you smell something musty or unpleasant but can’t find the source, it could be mold in your ceiling or walls. Puddles and drips are the most obvious sign of roof damage. This is also the most serious sign. It tells you that the water is now coming straight through the roof. The Big Question: Repair or Replace? So, when do you know if it’s time to repair or replace your roof? Some signs are obvious. If your roof has severe storm damage that left a part of it missing, you need a new roof. Or, if you’ve had your roof repaired several times already. You may also need a new roof if your roof is old. In the past, an owner may have opted for a roof repair to extend the life of their roof. Today, with energy-efficient roofing available, owners are taking advantage of the new technology. But, other times, knowing if you should repair or replace the roof isn’t as obvious. That’s when you need the following guide to help you decide what’s best for your situation. To make it more complicated, with commercial roofs, you have two more options: recover or recoat. Repairing a roof is usually cheaper than replacing it. But, if your roof’s age is a concern or you’ve had it repaired several times in the last few years, replacing it may be a better option. In some cases, under the above circumstances, you can re-cover the roof. This is especially an option if there is only one membrane. You’d have another membrane put on top of it. But, you can only do this once. The benefits of having a commercial roof replaced are plentiful. First, you’ll have a lower maintenance cost. This is because the roof 1) is under warranty and 2) the contractor may offer a maintenance plan which includes inspections. Depending on the roofing type and materials used, you could see substantial cost savings. Of course, you’ll have an initial outlay for the new roof. But having an eco-friendly roof built will save you money in energy costs. New materials and technology also mean — in most cases — the engineering is stronger. The investment of a new roof could last at least two decades. While coating doesn’t exactly fall into either category, it does extend the life of your commercial roof. But, it also provides other benefits aside from longevity: It improves the look of your roof and it’s cost-effective. There are two ways coating your roof saves you money. First, it reflects the sun’s rays and away from the roof. This keeps it cooler inside. The coating also reflects dangerous UV rays away which reduces the risk of damage. You now have an idea of when to repair or replace your roof. But you can’t know for sure unless you call a reputable roofing contractor for an inspection. Calling a reliable and accredited roofing specialist guarantees you’re making the right decision. 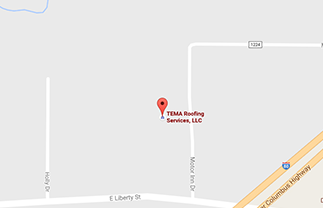 At TEMA Roofing Services, we’ve installed more than 50 million square feet of commercial roofing. We’re family owned and operated and have been in business for over 50 years. Our time-tested commercial roofing process is easy. We identify the problem then work with you on finding a solution. Our job isn’t done when the project is. We provide maintenance and even more important — peace of mind. Contact us today and let us get to work on solving your commercial roofing issues.